Welcome to the Elgin Corners Dental blog! 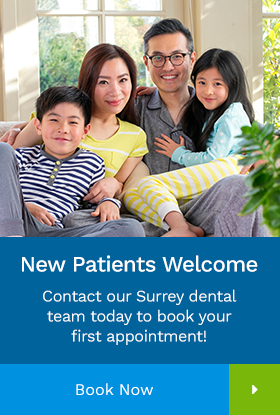 Here, our Surrey dentists offer up tips, helpful information and advice about maintaining your oral health. The primary benefit of Invisalign is that it’s invisible when worn, and this makes it the perfect orthodontic treatment choice for celebrities who are constantly in the spotlight. Mouthwash can help rinse away food debris and bacteria after brushing, but it's not an essential part of a good oral hygiene routine. Dental implants are a type of dental restoration that replaces missing teeth. Dental implants look, feel and act like natural teeth, and with proper care can last for decades. If you are about to undergo dental treatment under sedation, here’s how you should prepare for a safe and successful appointment. Invisalign aligners are removable, which means that patients can remove them to eat, drink, and care for their teeth. However, this can make it tempting to remove them more often that prescribed… and that’s where compliance indicators come in!